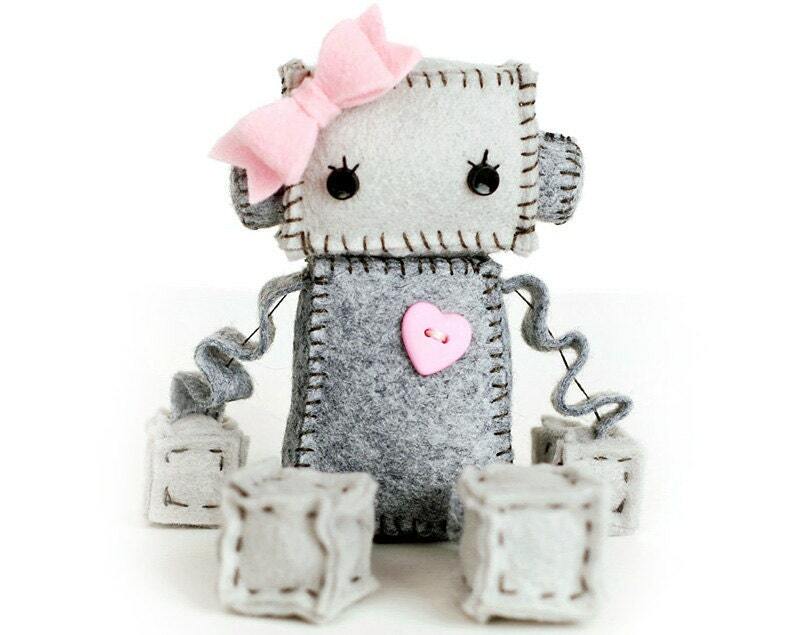 This little robot plush girl is so sweet and girly. Her light pink ribbon bow and button heart are cute as can be. Robot is about 4 inches tall sitting (without her bow). It is made of premium wool felt, cotton embroidery floss and little plastic buttons for eyes.